“It doesn’t matter if he goes to Gaza,” said Zahra Sharawna, Ayman Sharawna’s mother. “To be freed is the most important thing.” I understand how these words could come from a mother who fears for her son’s life. She, driven by her motherly emotions, simply wants him to live, even if many Israeli apartheid checkpoints separate her from him. But I must question was that actually the victory that Ayman Sharawna’s hunger strike aimed to accomplish, to get out of prison alive regardless of release conditions? I don’t think so. A Palestinian’s fight has never been about oneself. It has always been a collective resistance of different forms, for the sake of collective justice for all Palestinian people. Some national principles identify our struggle for freedom. Every Palestinian revolutionary should be armed with them. One is embracing our right to return as the most sacred and ultimate goal. “One whose hands are in water isn’t like one whose hands are in fire.” This traditional saying always comes to mind when I encounter a complicated situation many people would find it easy to judge superficially. I am not in a position to imagine the kind of inhumane pressure to which Ayman Shrawna was subjected. However, being a daughter of a former prisoner who served 15 years, and having intensively read and heard many ex-detainees’ prison experiences, makes me better able to guess. 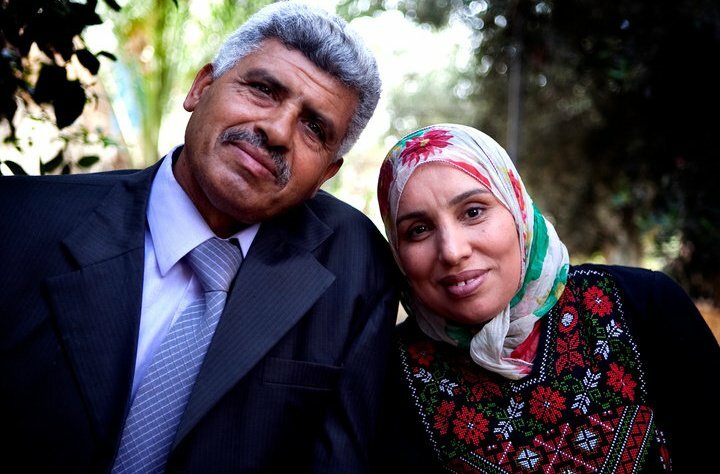 The Palestinian Centre for Human Rights condemned Israel’s expulsion of Sharawna to Gaza calling it a “forcible deportation” which is a violation of international law. As such Israel alone is responsible, and we must consider that Sharawna is not acting of his own will. But still, I was shocked to hear that the man who remained steadfast for nearly eight months of hunger strike, who tolerated all the pain and pressure attached to it, succumbed to such blackmail, to be expelled to Gaza for at least ten years in exchange for his release. This wasn’t the victory of which I personally expected to hear. I reacted to the news with a shocked face and stony eyes, unable to shed a single tear. Emotionally, I could celebrate and agree with Ayman that “both are my people, whether in Gaza or Hebron.” But I can’t help listening to my inner worries. I believe that our emotional reactions and stances will only serve the Israeli occupation’s long-term goals: turning the Gaza Strip into a ghetto isolated from Palestine, and expelling as many people as possible from the occupied territories in the West Bank and ‘48 Palestine. My fears that this will open the gate for Israel to intensify its systematic policy of ethnic cleansing against more Palestinian political prisoners left me unable to taste the victory in Ayman Sharawna’s release. These worries flooded my mind, but Samer Issawi’s statement on deportation lessened my stress and cultivated hope instead. His opinion was just what I expected, wonderful and strong from a stubborn man of dignity and poise, who continues his hunger strike of nearly seven months and doesn’t give up his principles for the sake of his own physical relief. He is aware of the long-term aims behind the inhumane practices of the Israeli occupation. He believes that his detention, a violation itself, cannot be fixed with a further violation. According to him, this hunger strike isn’t a personal battle; rather, it’s a collective one. He refuses to be released with the condition of deportation, even within our historic Palestine. Regarding the Israeli occupation’s offer to deport me to Gaza, I affirm that Gaza is undeniably part of my homeland and its people are my people. However, I will visit Gaza whenever I want or feel like it, as it is within my homeland, Palestine, which I have the right to wander whenever I like, from the very north to the very south. I strongly refuse to be deported to Gaza as this practice will just bring back bitter flashbacks from the expulsion process to which our Palestinian people were subjected during 1948 and 1967. We are fighting for the sake of the freedom of our land and the return of our refugees in Palestine and the diaspora, not to add more deportees to them. This systematic practice by Israel that aims to empty Palestine of Palestinians and bring strangers in their place is a crime. Therefore, I refuse being deported and I will only agree to be released to Jerusalem, as I know that the Israeli occupation aims to empty Jerusalem of its people and turn Arabs into a minority group of its population. The issue of deportation is no longer a personal decision, it is rather a national principle. If every detainee agrees to be deported outside Jerusalem under pressure, Jerusalem will eventually be emptied of its people. International law prohibits the expulsion and transfer of people in occupied territories, be it deportation to another country or forced relocation within the occupied territory. Security Council Resolution 607 “calls upon Israel to refrain from deporting any Palestinian civilians from the occupied territories” and “strongly requests Israel, the occupying Power, to abide by its obligation arising from the Convention.” But these words, as history proves to us, are merely words. We have experienced enough empty words and conventions and “international human rights laws” that do NOT apply to us, as if our humanity is in question. If the United Nations and the all the world’s governments keep of taking this submissive stance on Israel’s crimes and watch, reacting only with silence, we should NOT normalize their violations even if it costs us our lives. 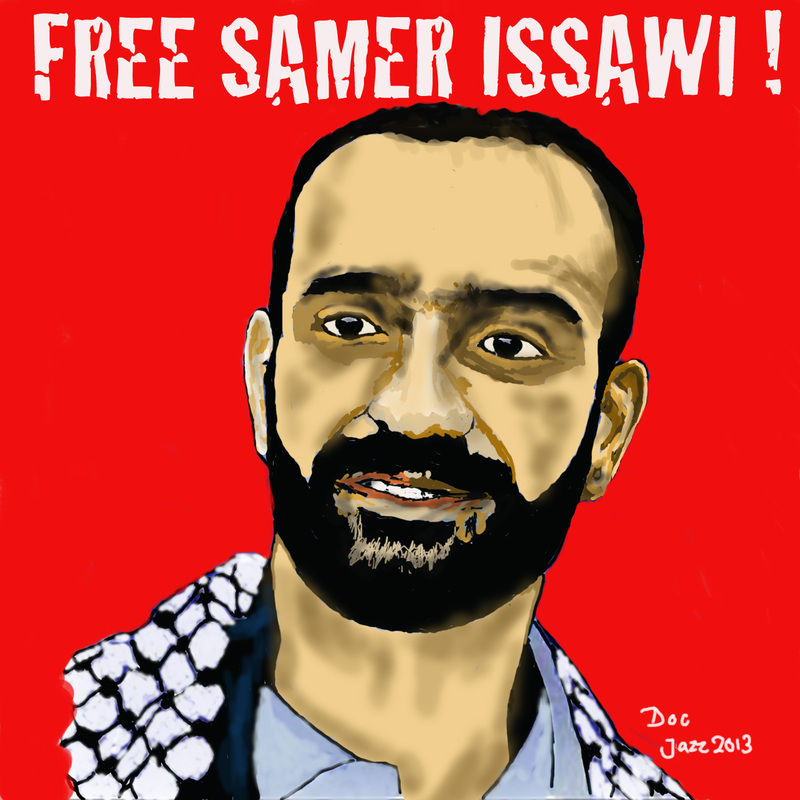 People like Samer Issawi teach us how to stand firm and not compromise our rights. Thank you, Samer, for teaching us how meaningless life is without freedom and dignity. Twenty-seven years ago, my father’s eyes saw the sun after being in the dark of Israeli prison for 13 years. On 20 May 1985, my father regained his freedom. “I was sentenced for seven lifetimes plus 10 years and I thought that this prison, Nafha, would be my grave. Thank God I didn’t stay that long there, and I was set free to marry your mother and to bring you to this life,” my father told me, smiling. He considered the 13 years of misery as not that long. Yes, it’s not that long if compared with the life sentence to which he was bound if the deal to exchange Palestinian and Israeli prisoners didn’t happen. I can’t recall that Dad ever showing any regret or sorrow for how the precious years of his youth were stolen from him. His prison experience is instead his song of life. He believes that it is his treasure, the reason behind his rich culture and beliefs, his strong character, his intimate friendships, and the reason why he values life. I’ve always been proud that I am my Dad’s daughter, and I’ll always be. He is a mix of experience and knowledge. The story of the exchange deal all started when Ahmad Jibril of the Popular Front for the Liberation of Palestine captured three Israeli soldiers (Yosef Grof, Nissim Salem, Hezi Shai) in revenge for thousands of Palestinian prisoners kidnapped by Israel without any apparent reason. After a long process of negotiations, both sides struck a deal that Israel would release 1,250 prisoners in return for the three Israelis that Jibril held captive. My father was included in the deal, and fortunately, he was set free. Among the prisoners released were the Japanese freedom fighter Kozo Okamoto who had been sentenced to life imprisonment, and Ahmed Yassin, the leader of Hamas who was sentenced to 13 years imprisonment in 1983. History repeats itself. On 18 October last year, we experienced a similar historical event with a swap deal involving the Israeli soldier Gilad Shalit, who was arrested by the resistance in Gaza while he was on top of his war machine (an Israeli tank). Just like what happened with Shalit, the capture of three Israelis caused uproar in the Israeli public opinion and international media at that time, but the thousands of Palestinian prisoners behind Israeli bars were not noticed, except for by the resistance fighters that have always forced Israel to meet some demands regarding the Palestinian prisoners. When I deeply think about these events and the way the international media reacts, I get angry at how unjust this world is. Why did the world make a big deal of Shalit and the three soldiers when they were attested by the “terrorist” Palestinians while thousands of Palestinian political prisoners are left behind in Israeli jails enduring all forms of violations and torture and the world chooses to look away? My father told the story with tears struggling to fall. He was staring at a picture stuck on the wall of his room; a painting that my father drew during his imprisonment of flowers blooming among barbed wires. “I cannot forget the moment when the leader of the prison started calling off the names to be released,” he said. Among the prisoners was Omar al-Qassim, a leading member of the Democratic Front for the Liberation of Palestine. Al-Qassim was asked to read the list of the names loudly. He was so excited at the beginning hoping that his freedom would be restored. Every time he said a name, a scream of happiness convulsed the walls of prison. Suddenly, his face’s features started to change. He became reluctant to speak because he noticed that his name wasn’t among the names. This was another incident of psychological torture that the prison’s manager committed against him. But he left him no chance to make fun of him. He withdrew himself silently and went to his prison to continue with his resistance. Sadly, he died in a horrible narrow cell after 22 years of resistance, pride and glory. My father has always said that “prisoners are the living martyrs.” He also described Israeli jails as “graves for the living.” Let’s unite and use all the means available to help 4,653 Palestinian political prisoner have fewer years of suffering. We share this responsibility as we can’t leave them as prey for those criminal jailers. Their freedom will be a triumph for humanity. Note: Read this in Italian here. Many thanks for Emanuele Qalitry for translating it!